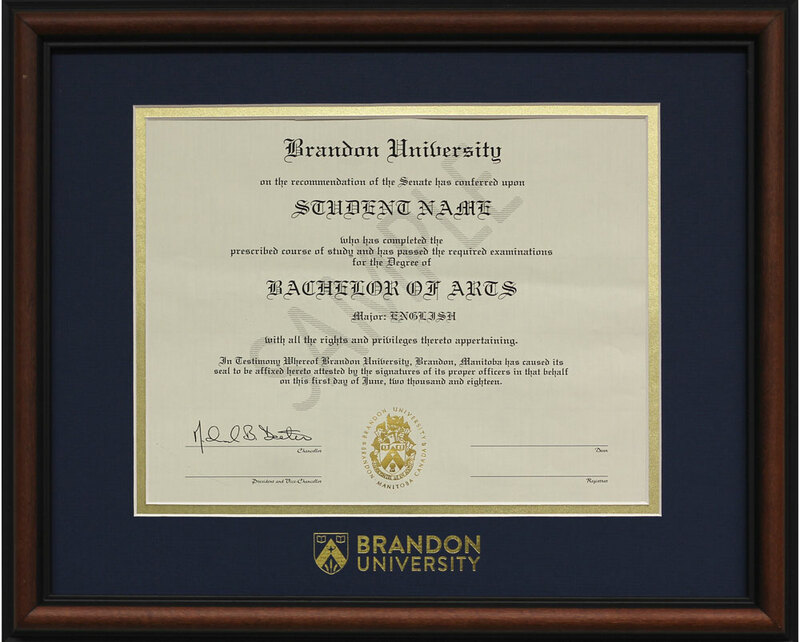 This classic gold frame, with a single mat, shows off a restrained sophistication. A sleek black metal frame, with a wide modern-look moulding, which exudes contemporary style. 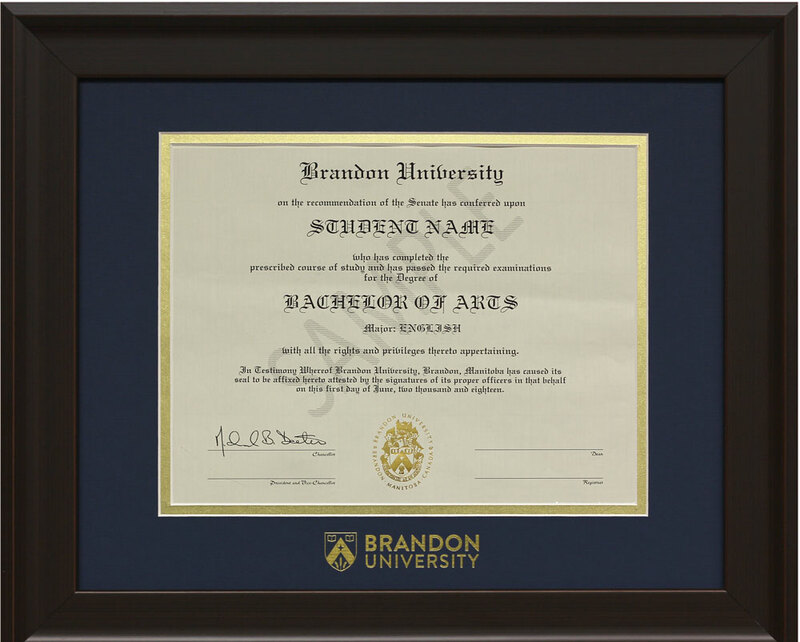 Walnut coloured wood, with gold-edged double mat, anchors this frame with a warm, time-honoured look. 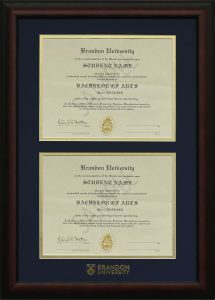 A wide, flat profile and a satin mahogany coloured finish give this frame a contemporary appeal that is at home in nearly any décor. 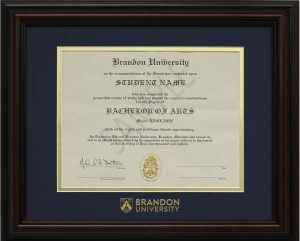 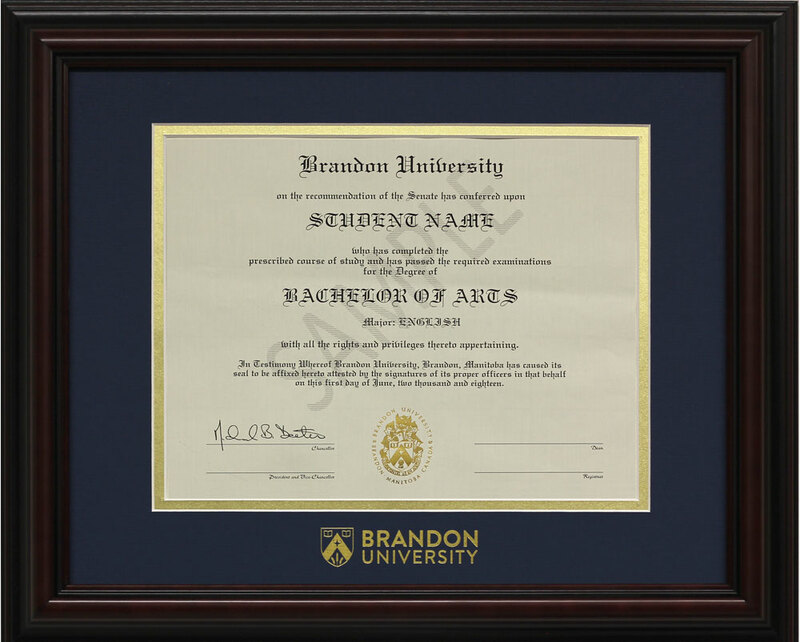 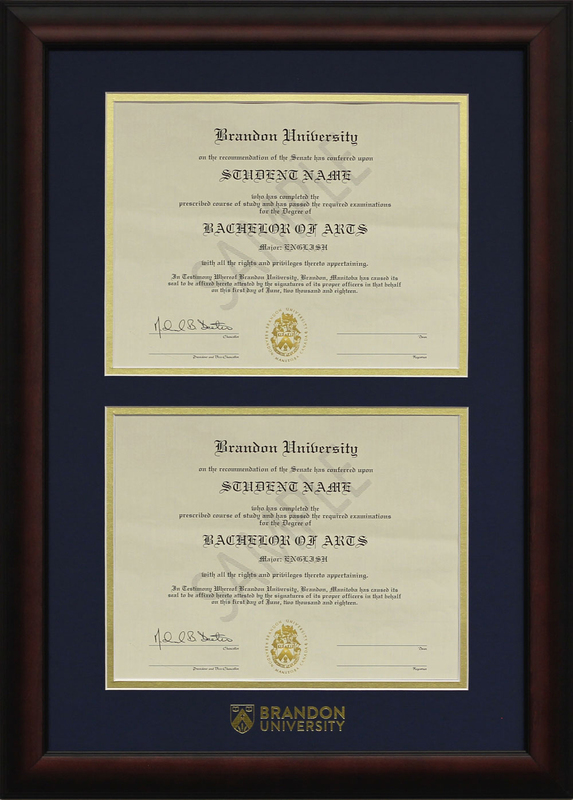 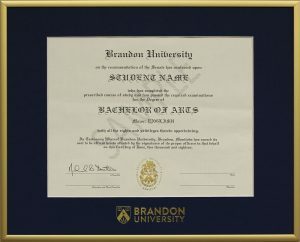 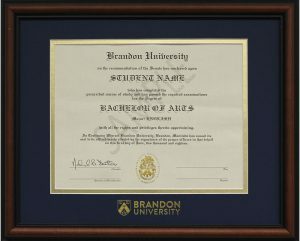 The contemporary Briarwood frame is finished in a satin mahogany colour and fits two 8 1/2″ x 11″ diplomas. 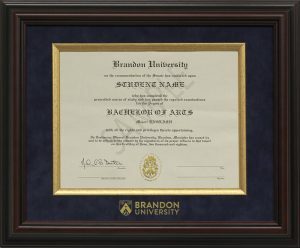 A highly lacquered mahogany coloured wood frame provides high-end gloss, and a triple mat display combines for a very cultured and refined look. 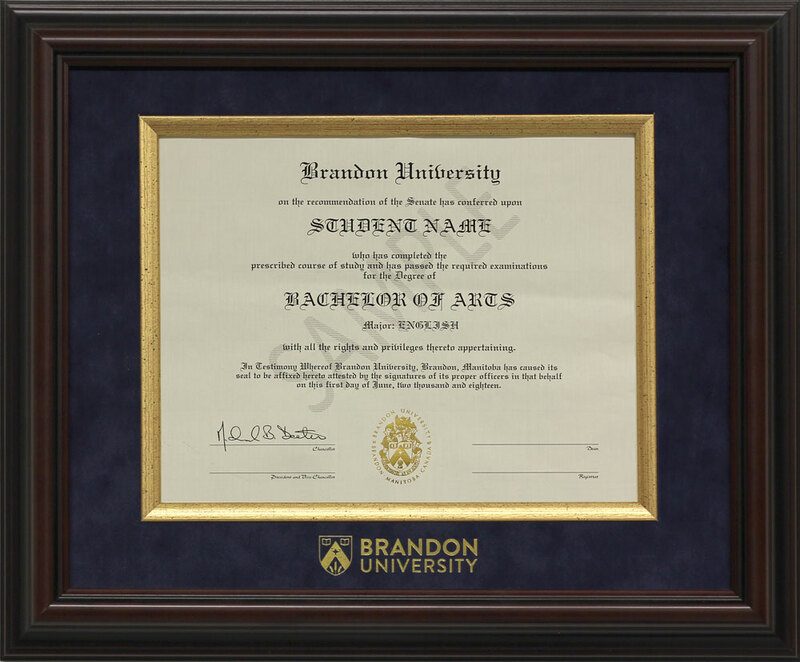 This top-of-the-line, highly lacquered and full-gloss mahogany coloured moulding is paired with a lush suede mat and gold-wood fillet in the mat opening for the ultimate in elegance and luxury. 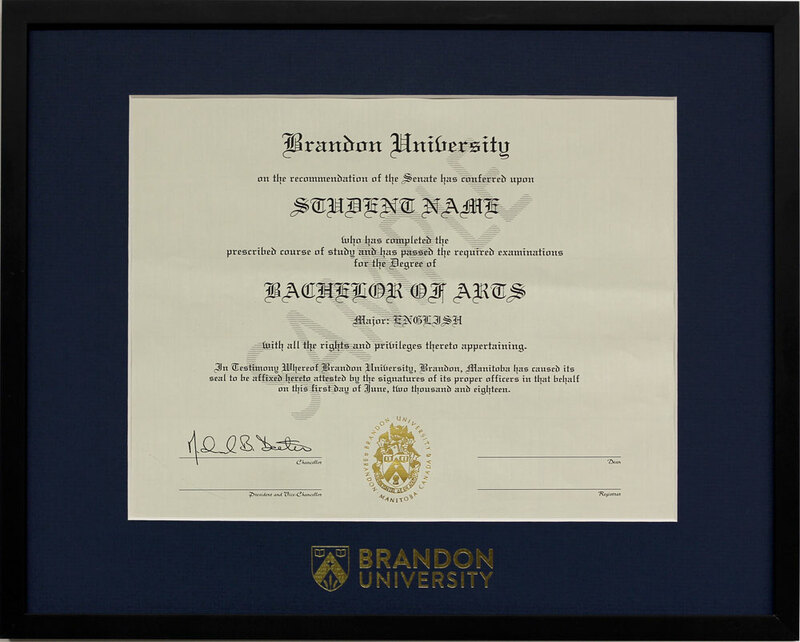 This contemporary Briarwood frame has a sleek mahogany finish and features a decorative blue tassel. 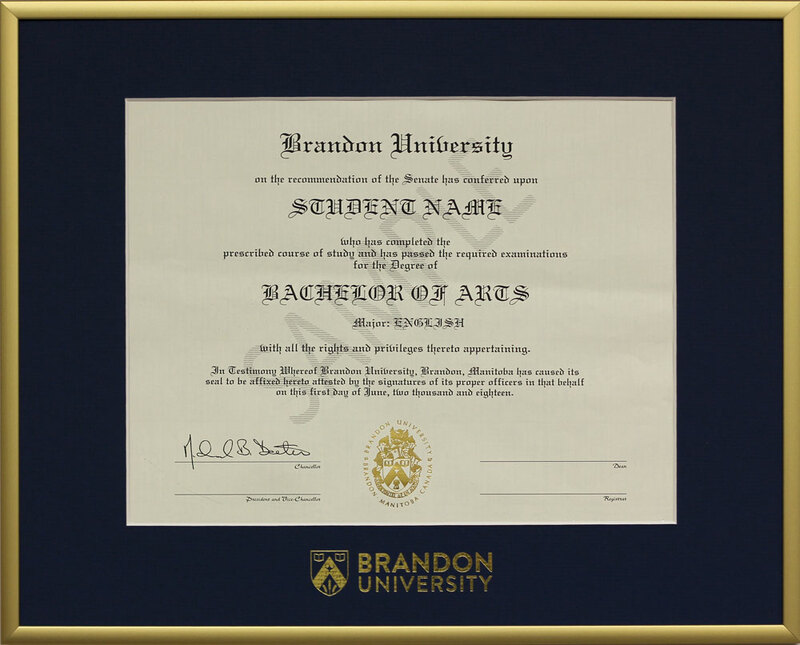 A fashionable solid hardwood expresso frame with a wide modern moulding, that gives a comfortable feeling of durability with a contemporary flair. The Office of Advancement & External Relations is located in Room 114 of Clark Hall.